« Day 100 in Beijing: The Whirlwind. 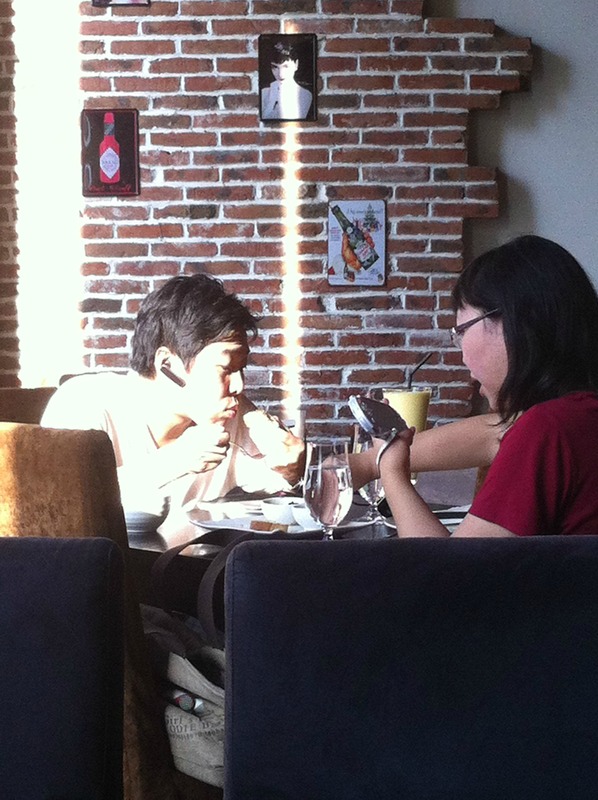 Day 101 in Beijing: iPhone Your Date In. Please allow me to ignore you. I happened to be out in a restaurant recently and found these two people eating their dinner. 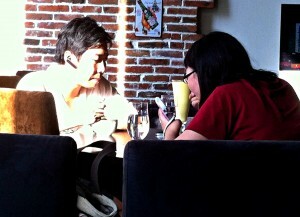 This was at a nice restaurant and watching their interactions was, to say the least, intriguing. They sat at the table, drank their drinks, ate their food, and watched their phones. They probably said about 5 words to each other during their one and an half hour dinner. I’m not sure this was a date but it seemed like it. “Thanks for the great conversation and date!”…he texted to her after dinner. They didn’t touch or do much of anything else other than stare at their phones, laugh at the screens and ignore each other. 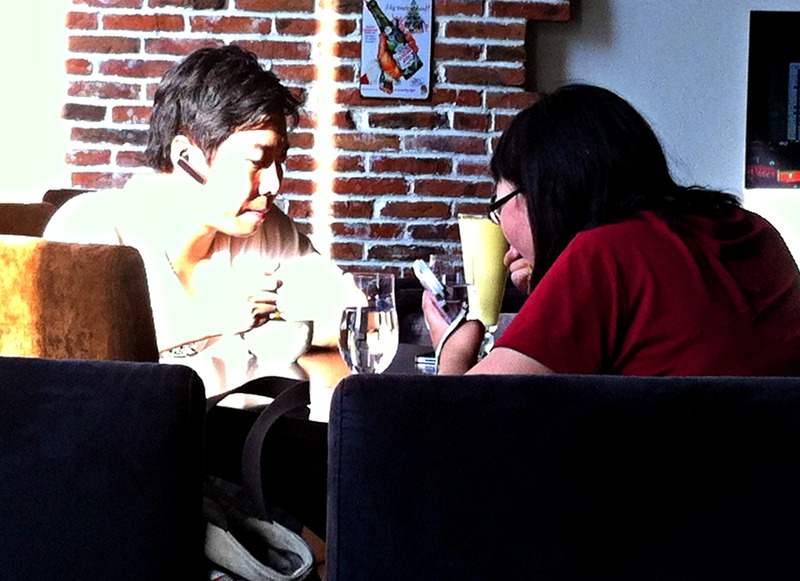 If you notice, he has a bluetooth receiver in his ear and she has wired headphones. They did show each other what was on the other person’s screen once during their dinner. That was the full extent of their connection through the dinner. I have yet to see anyone else do this. It was like watching an episode of The Twilight Zone. If so, they could download it and it might be fun to watch together on their next date.